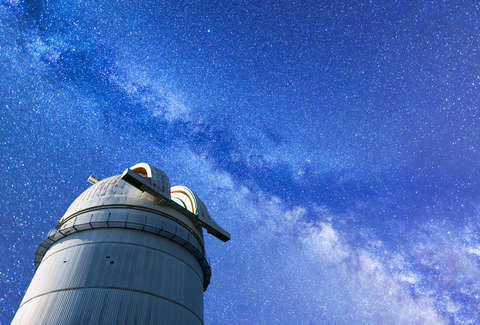 New Mexico's Sunspot Observatory has found itself in the middle of what can only be likened to an episode of the X-Files: swarming FBI agents, a Blackhawk helicopter circling overhead, and unanticipated media attention. Due to an unspecified "security issue" at the observatory reported to the FBI, the facility is closed pending an investigation. Adding an air of mystery to the situation, local law enforcement have been conspicuously shut out of the investigation, according to a report from the Alamogordo News. Whatever the case may be, the truth is most certainly out there. Popular Mechanics points to a few potential causes of the unforeseen shutdown, like a chemical leak or "other natural danger." Still, the story is strange and disconcerting to say the least.